The other day when I was doing my long run I was listening to a podcast and the presenter was interviewing an elite runner and asked if they were always a runner and what made them take up running. It got me thinking about myself and how I came to love the sport of running. Misery loves company, right? When I was in High School I ran track and honestly didn’t even like it that much. I didn’t even do it all four years. I ran the 100m and 200m. Back then the mile felt way too long for me. I would get mad at my coach when he would make me do the 400m. Back then if you would have asked me if I would ever run a marathon, I would have just laughed and thought you were crazy to ask such a question. Well fast forward to my college days, I still wasn’t a big runner by any means, but thought I could stand to lose a few pounds that seem to creep up in college, so I did start running a little, but 30 minutes was my limit. When I got my first job out of college, my co-worker was a runner and was training for her first half marathon and asked if I wanted to do it with her. By this time I was running regularly but never did much distance. I thought why not, how hard could it be? And oh my, it was! Looking back there were many reasons why it was, no training plan, didn’t fuel properly, cotton everything, etc! I told myself that I never wanted to do that again! (If you want to read about that race, you can find it HERE). 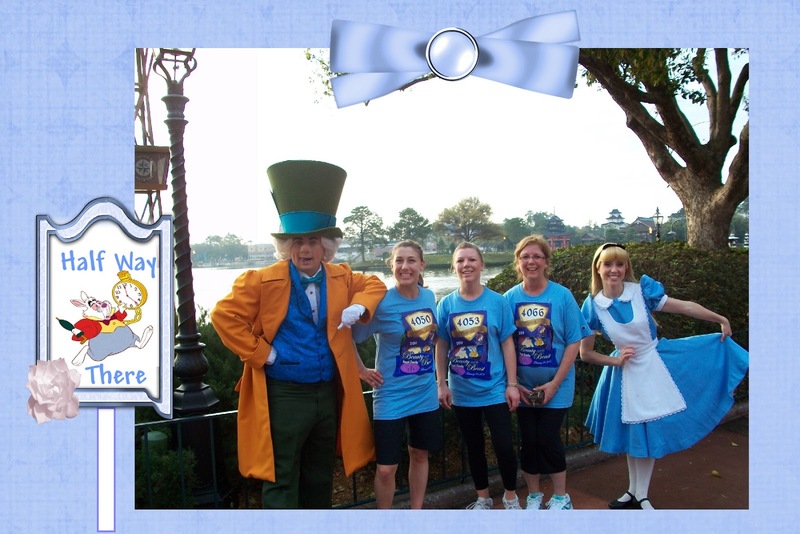 Four years later, I ran a 5k with my mom and sister down at Disney World. We had a blast! Now we did take our time and stop for pictures and got the most out of what the race had to offer. However, after I completed it, I thought if we do this next year I want more of a challenge. This brought me to my second half. We ran the 5k the next year, and the following day I ran the half marathon. It went much better than my first half experience that was five years prior. That spring I got involved in a running group. At first I wasn’t sure if I would fit in, because these were “serious runners” that ran many races and had a lot of marathons under their belt. 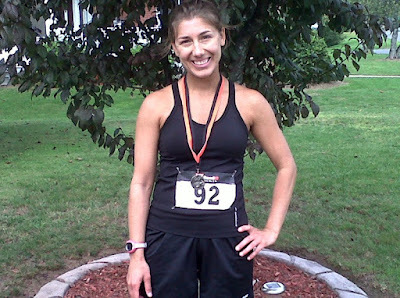 I didn’t think of myself as a serious runner, I just ran when it was convenient and fit in my schedule since I was a flight attendant during this time (so you can imagine the crazy schedule). 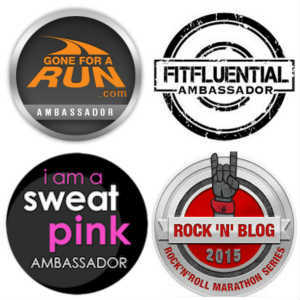 I began really liking this running community and I felt like I was a part of the group. I even started running with other people on certain days without the group. I was running more than I ever had and upped my mileage and began really liking the longer runs. During long runs, there is plenty of time to talk and conversations come up. During one run my friend asked me why I haven’t ever run a marathon. I told him that I was a sprinter in school and never have been a distance runner. He looked at me and said, “Well you’re doing it now, and besides you never know unless you try. Wouldn’t you want to try it and say you have, than ever wonder what if?” For the longest time I kept thinking I never wanted to pay money to be miserable. But the more I thought about it, the more he made sense and I wanted to take on the challenge. Ok, so I would run a marathon to prove to my friend I could. One and done right? Well let’s just say I'm now training for #13 and going strong! By the way, we are still very good friends and to this day still train often together. I guess I have to thank him for believing in me when I didn’t believe in myself. I kind of fell into running. In my 20s, I struggled with anxiety and depression. I started working out at a gym, and started running on the track. I found that I loved it and that I was kind of good at it! It changed my life. I used to make my dad write me notes to get out of gym class in HS I hated exercising and running. My how things change! That is funny. I never minded running in gym class because I was always one of the fastest. I loved reading your story! I thought you were always a runner; it's great to see your progression. I didn't start running until 2009, and back then my dream was to someday run one mile. My trainer took me under her wing and within 6 weeks, I ran that mile and have kept running ever since. It's funny how one person can make such an impact on you. What a great story, Lacey. I didn't start running until 2013, and that was after my husband ran his first marathon (the same as yours!). 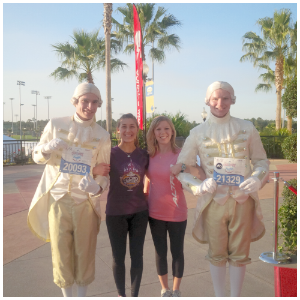 He inspired me to start running, and we returned to Disney a year later for me to run my first half marathon. It is great that certain people can make such a positive influence on you. That's a great story! You are a fast and strong runner, I really thought you used to run more in High School! Haha...no way! I am glad I gave it another chance. Thanks for sharing your story! I would never have imagined that running would have such an importance in my life! Thank goodness for friends who see something in us that we don't see! You know what's funny? I quit track after one week in HS! My parents were mad because they bought me new sneakers for it. :) My senior year in HS I ran 1 mile before school each day. In college I ran a bit. Maybe up to 5 miles? It wasn't until I met my MIL that I started running long and did a marathon. I only did track freshman and sophomore year and I said that was enough! 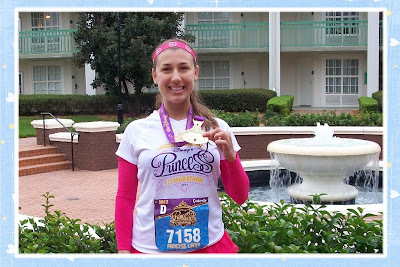 i wanted a disney medal haha. I never ran before and always hated it but now I have come to love it. when i don't run, i am miserable. I get really cranky too when I go without running for too long. I loved reading this!! I also went back and read your post about your first HM. It's so funny how our knowledge and thoughts about running change over time! I'm pretty sure I would to have gotten into running if my friend and sister had not trained for a half and went from couch to half in less than six months. I was astounded. I literally thought only like real atheletes or professionals could ever run that distance. I've run four and now am really wanting to do a marathon... except all the insecurities and doubts are stopping me for now LOL. Just do it! Like my friend said, you never know unless you try! Great story! I think its incredible you have such a close family that enjoys the sport together, what great memories to cherish! Family is what got me into running marathons. I've run many races and some of my greatest memories to this day are the ones where I raced my sister in half marathons or had my dad training with me on my side. Friends come and go but families who run together stay together, that's one of our inside mottos lol. Yes that is so true! Though we ran at a slower pace than what I am used to, I never regretted any of the times I ran together with my sister at races. The beginning of your story is almost the same as mine! I ran track but didn't like it, and ran for exercises in college. It wasn't until later when I signed up for races that I started to really like it. 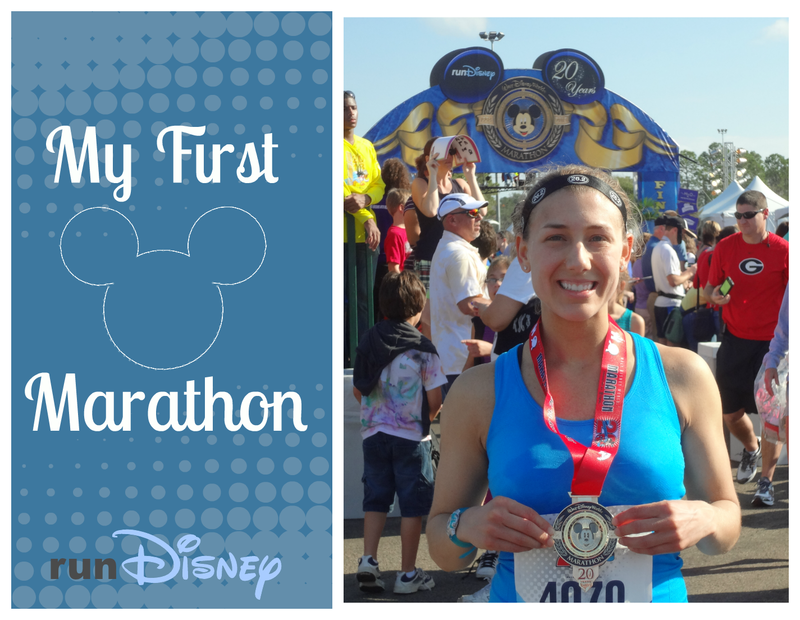 Once I did a few half marathons I decided I wanted to do a full! Exactly! You kind of get that bug. And want to see what you can do. I was much older when I started and had some friends running a race and I felt left out so I thought... let's try.... somehow I got sucked in! And so glad I was! That will do it! FOMO! Fear of missing out is so real! I have always been jealous of people who found running when they were younger. It seems like it's just easier to learn as a kid/teen! But at least I was in my 20s and not my 40s when I came to it, I guess!